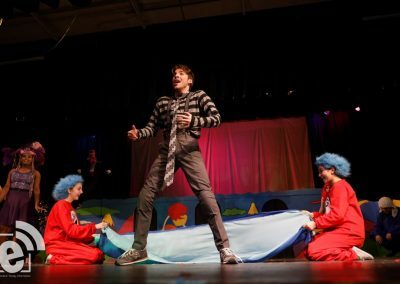 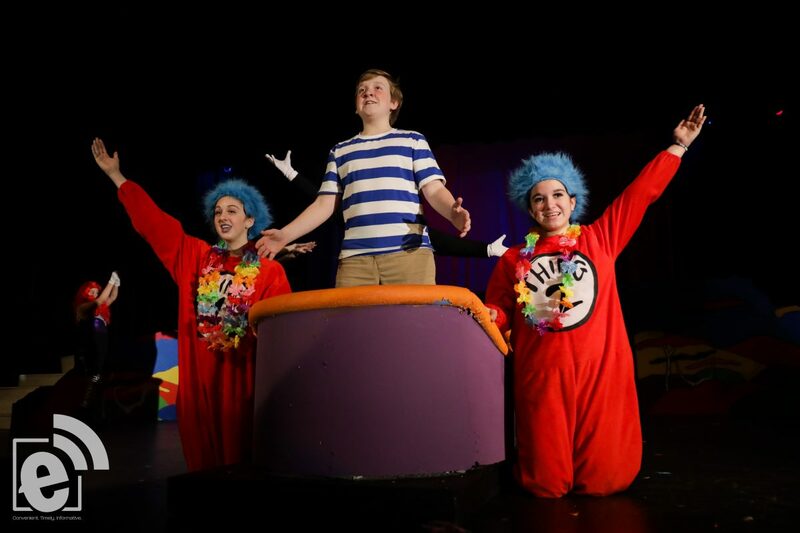 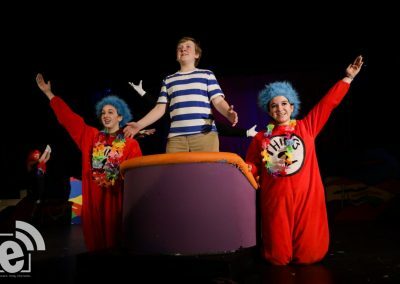 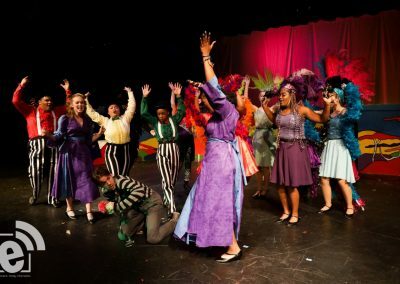 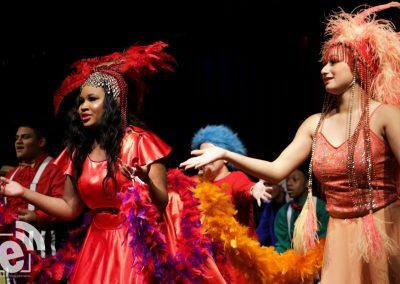 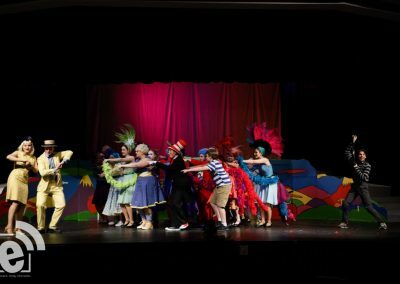 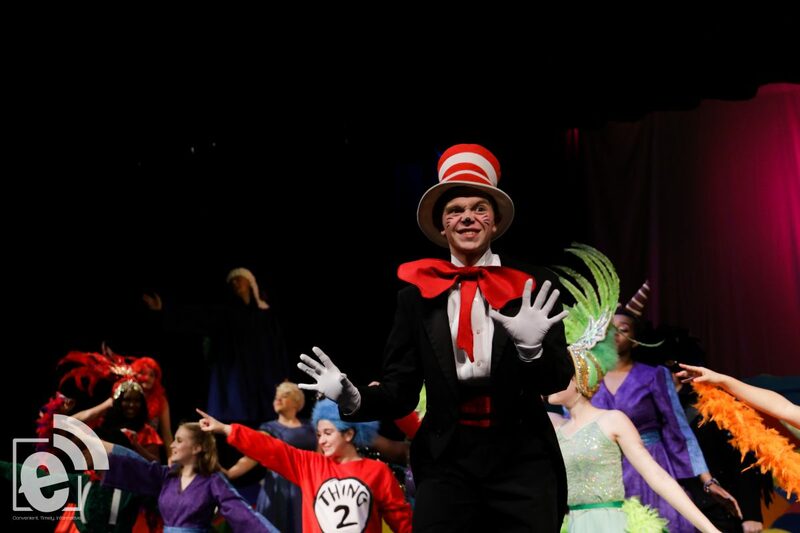 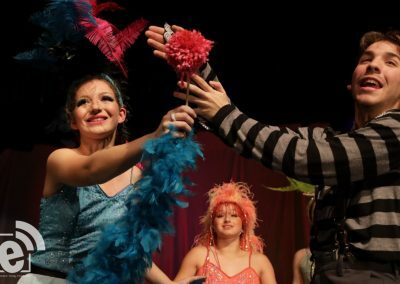 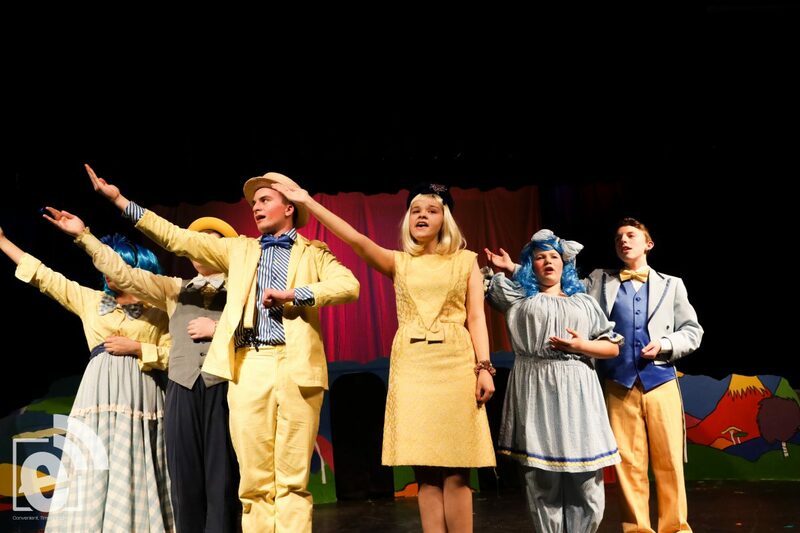 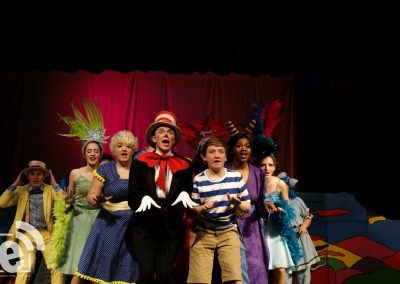 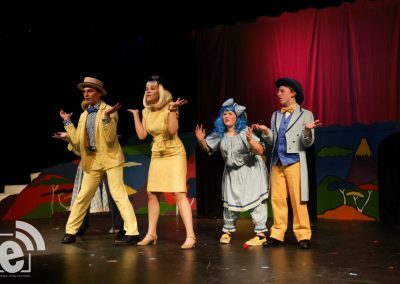 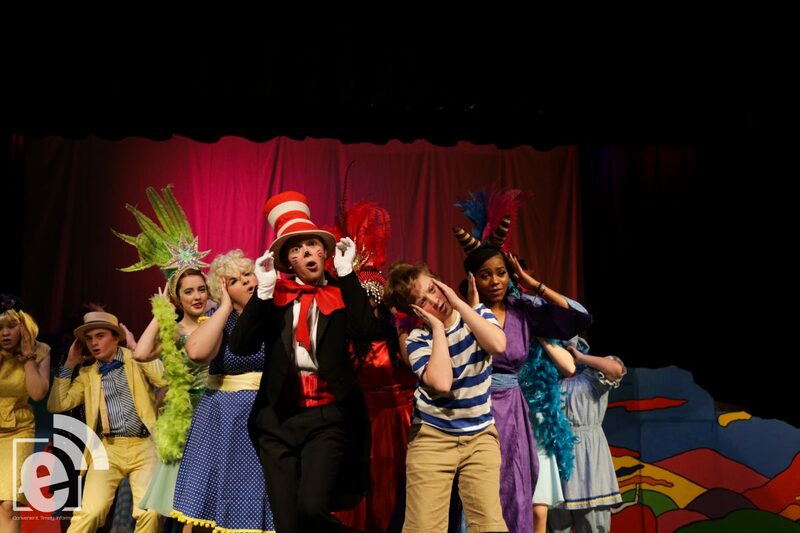 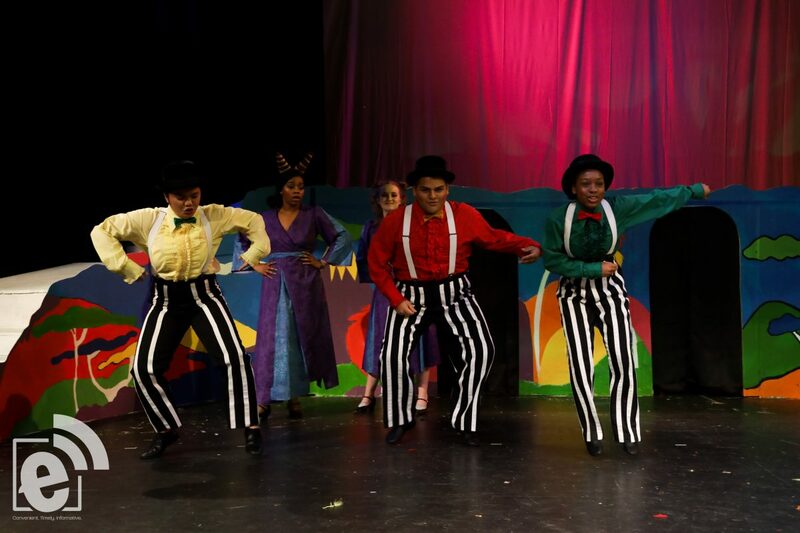 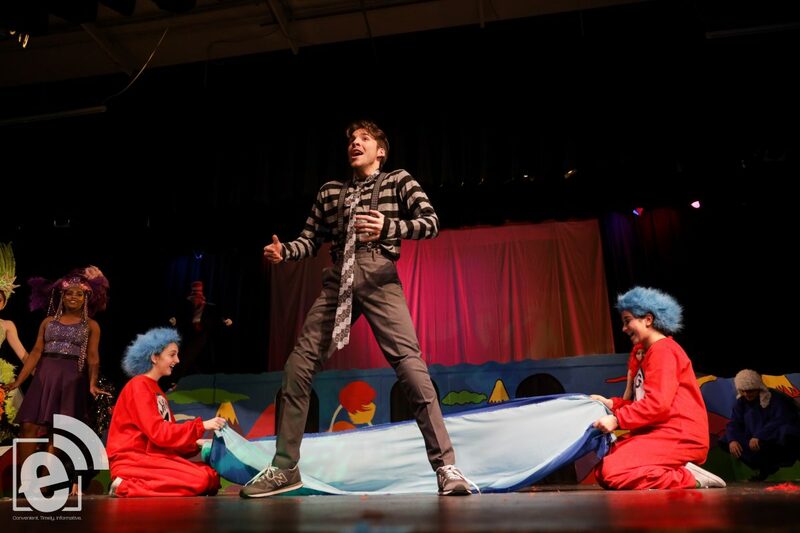 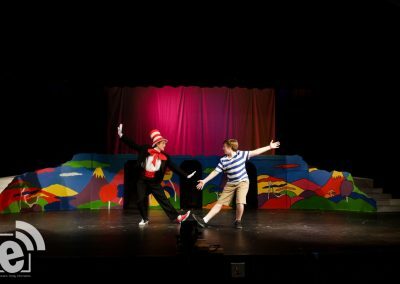 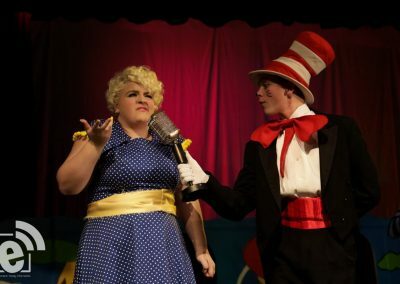 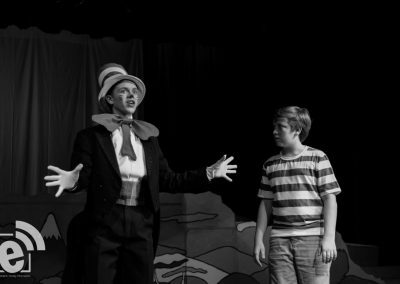 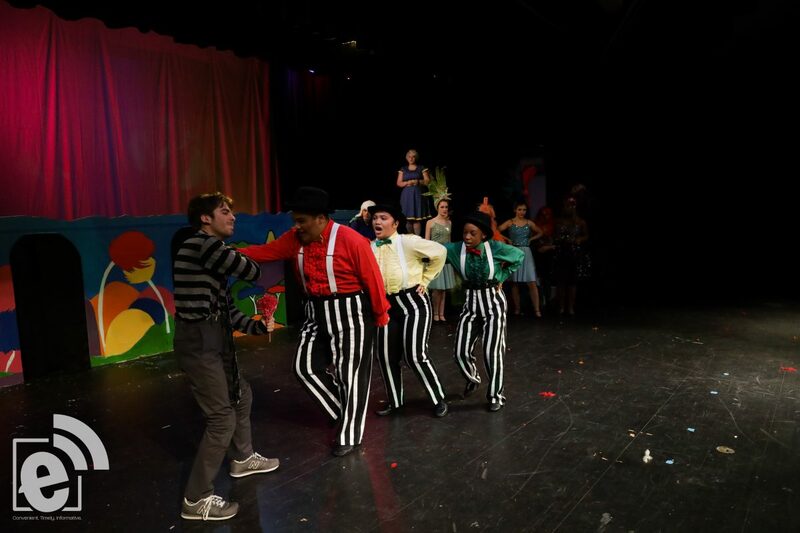 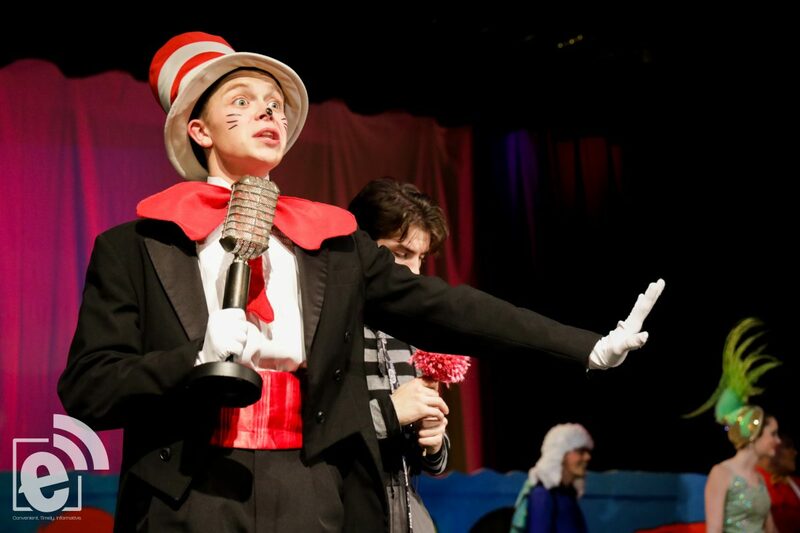 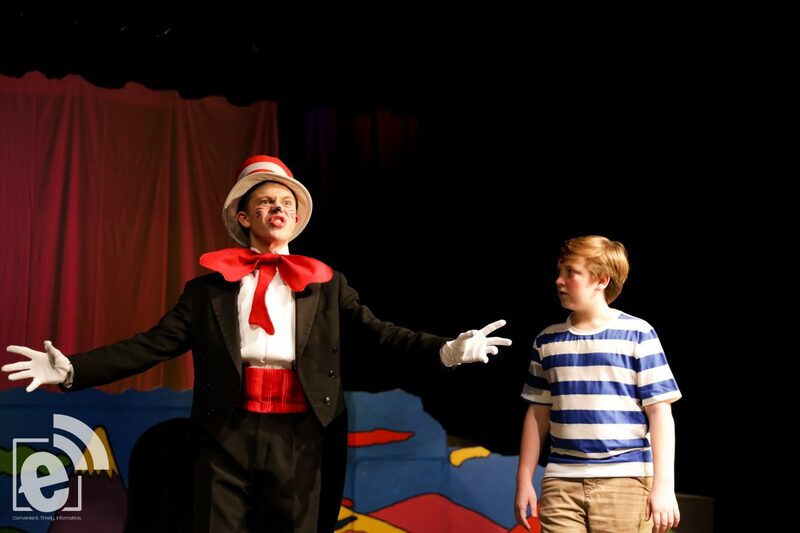 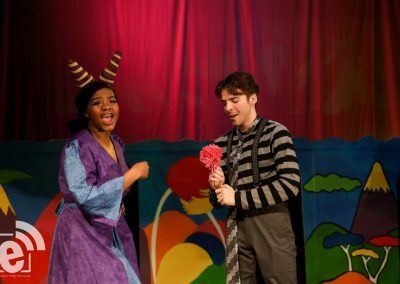 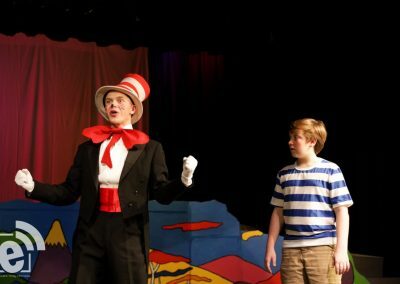 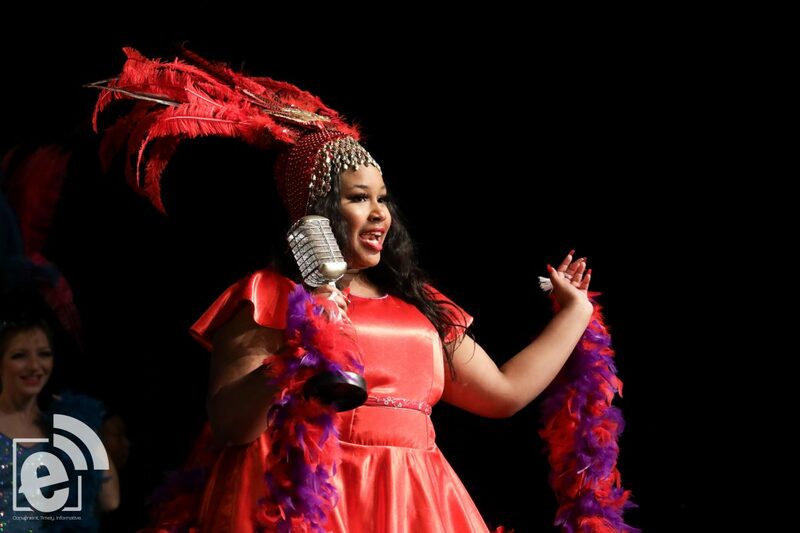 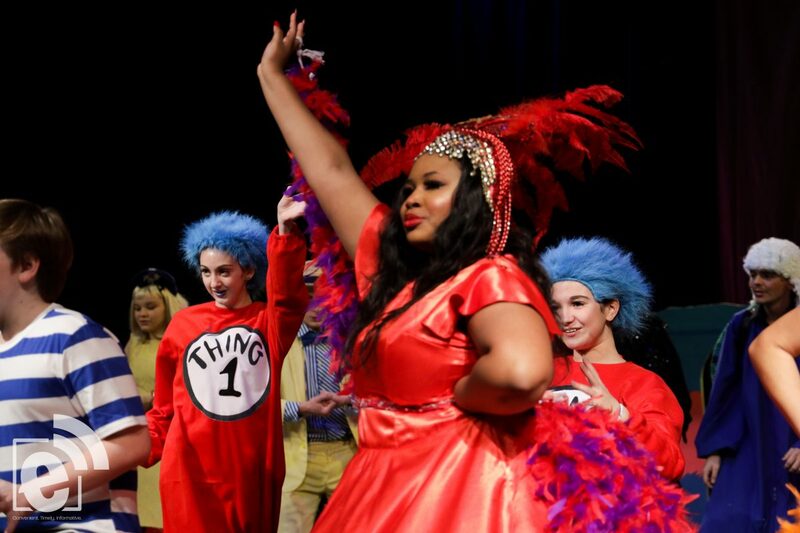 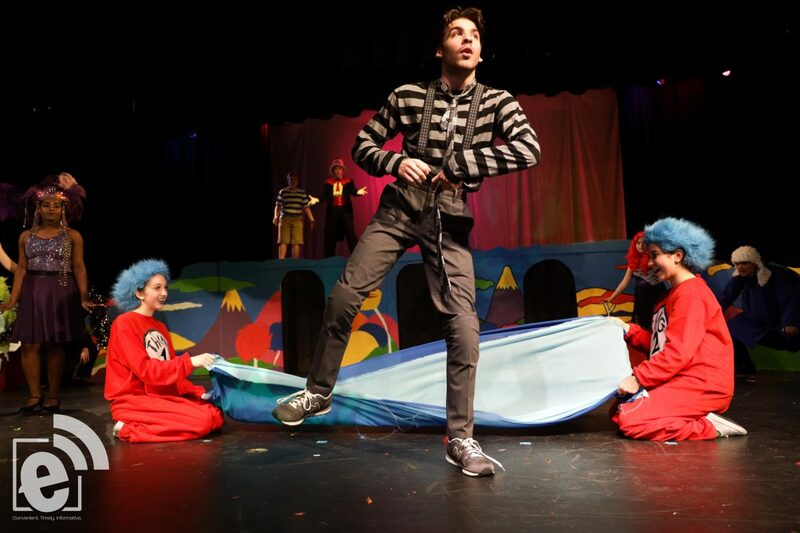 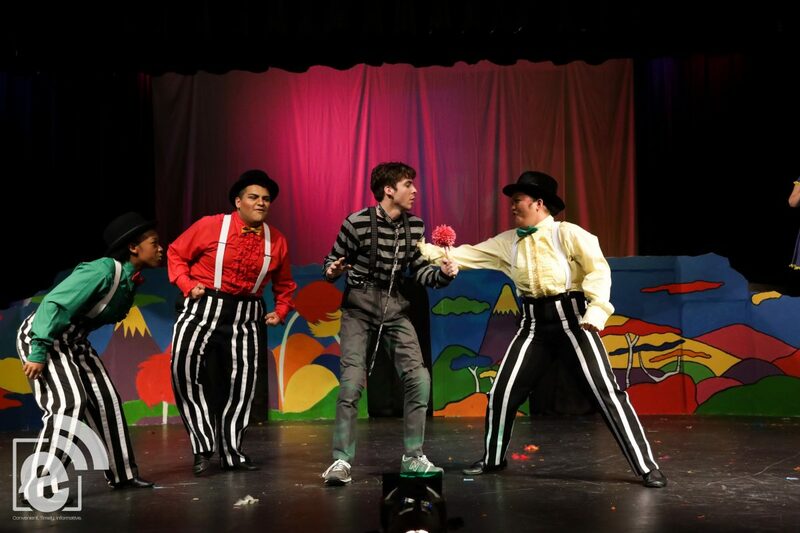 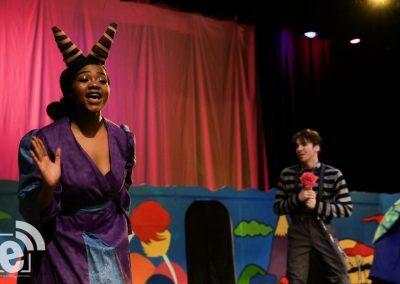 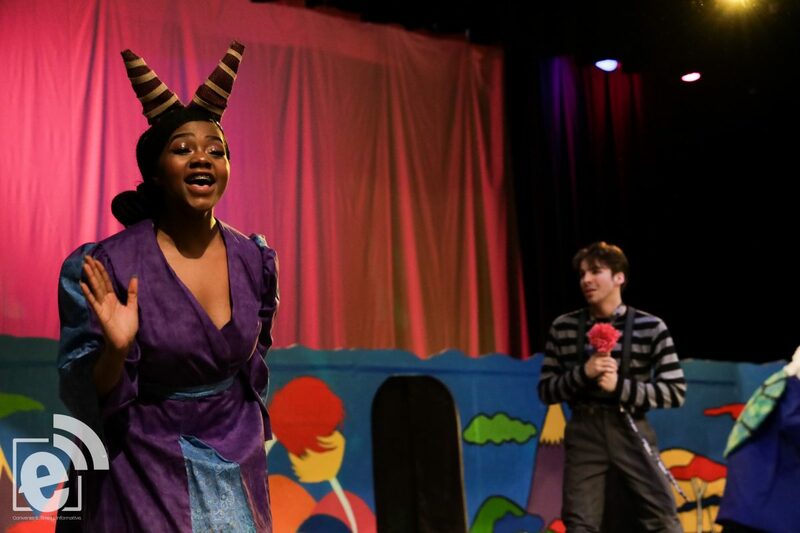 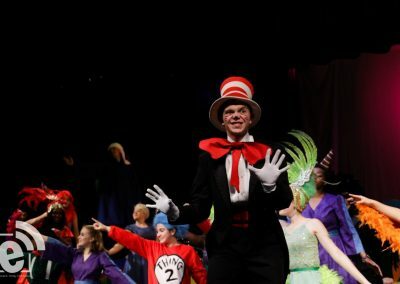 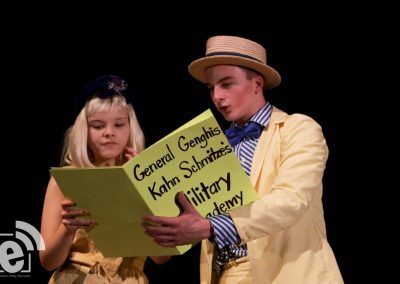 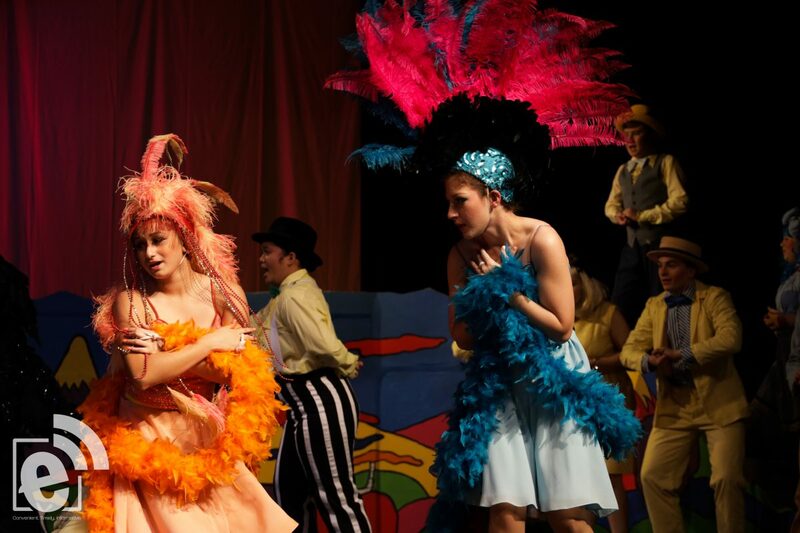 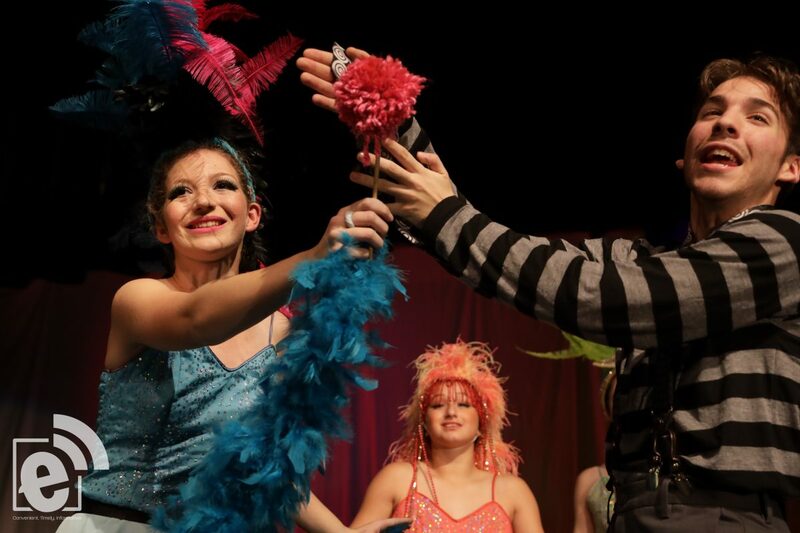 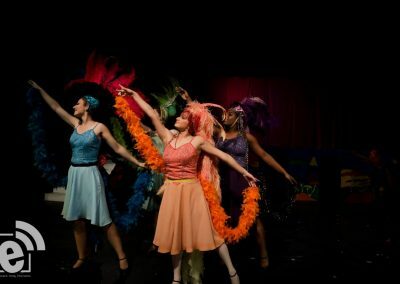 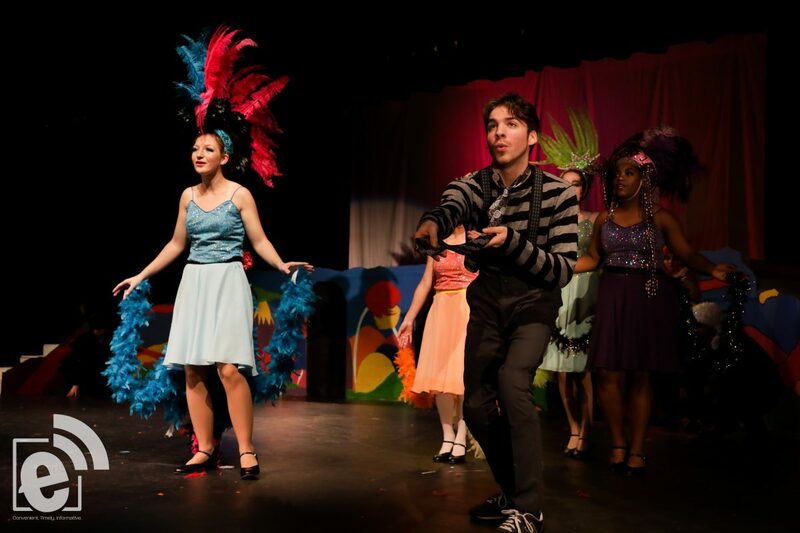 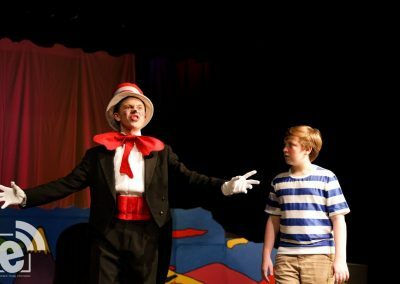 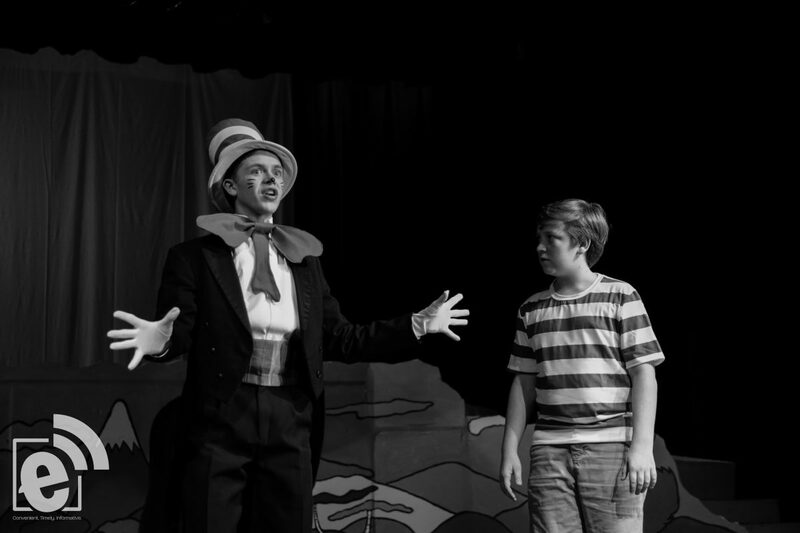 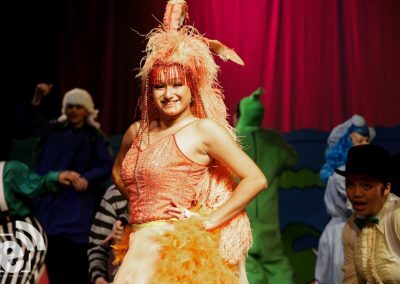 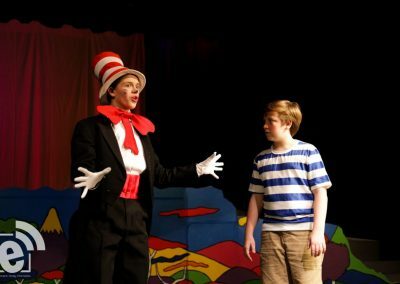 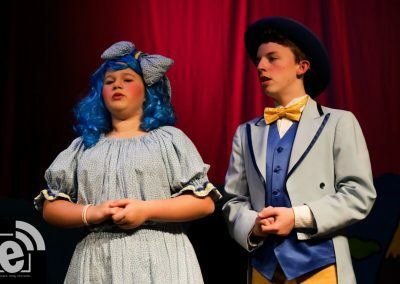 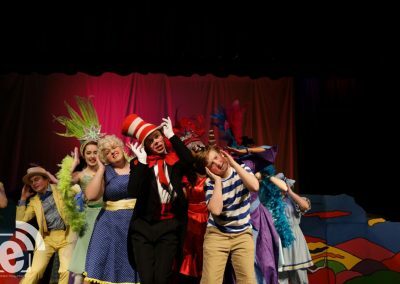 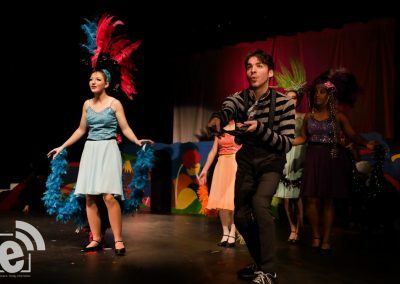 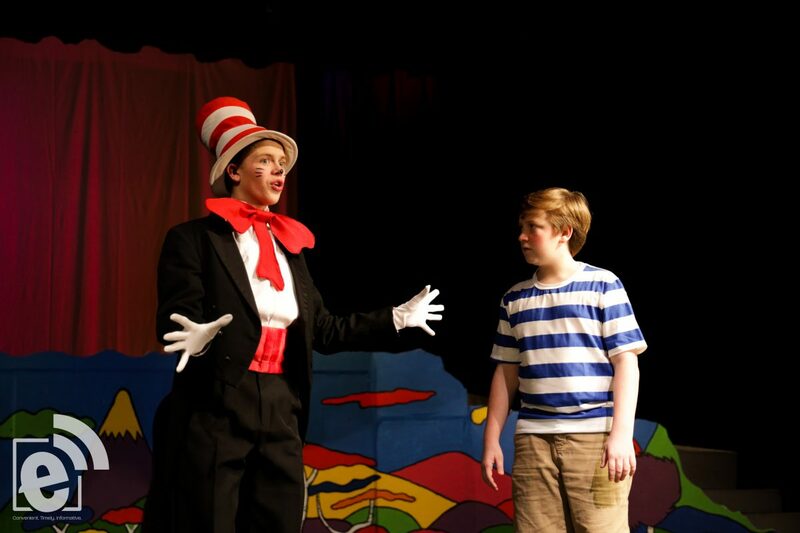 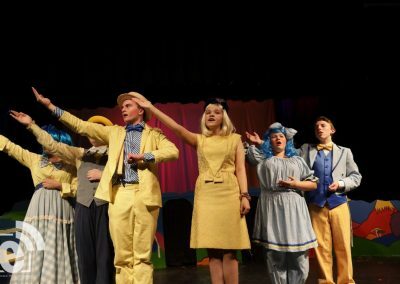 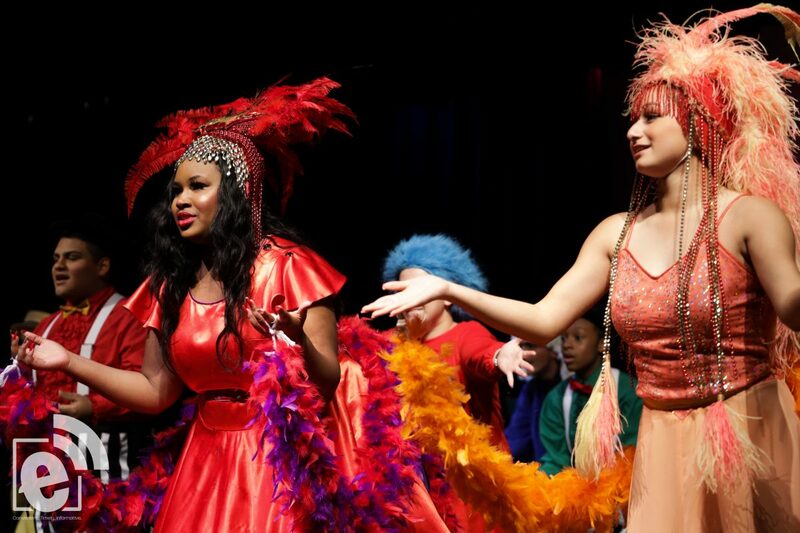 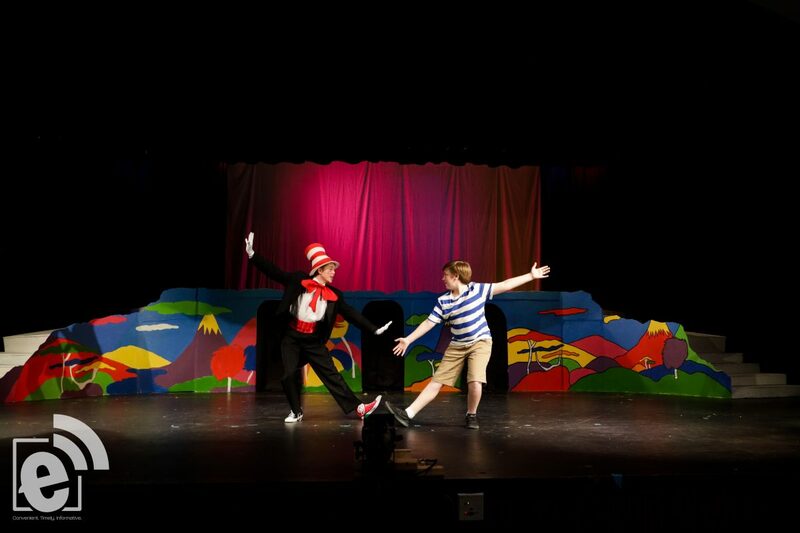 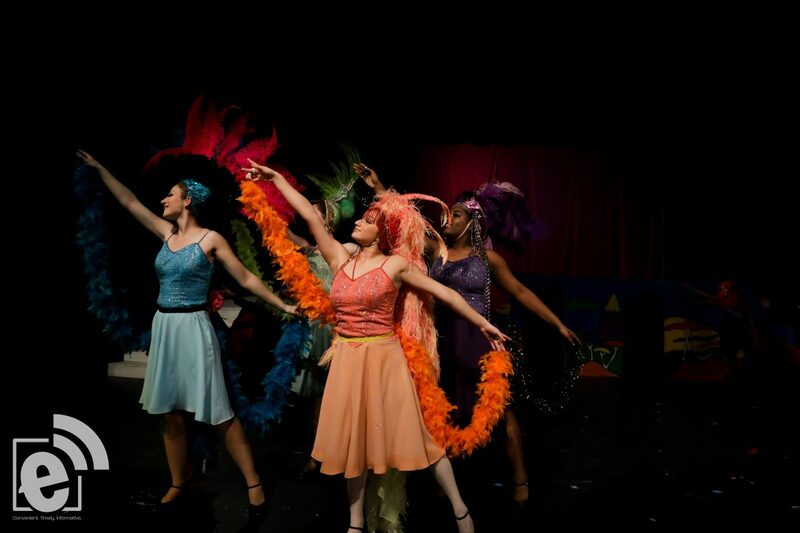 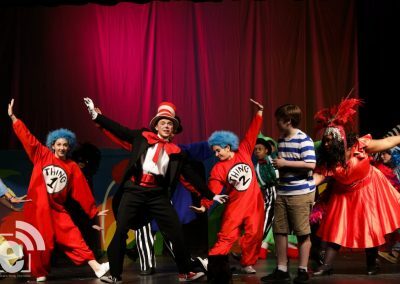 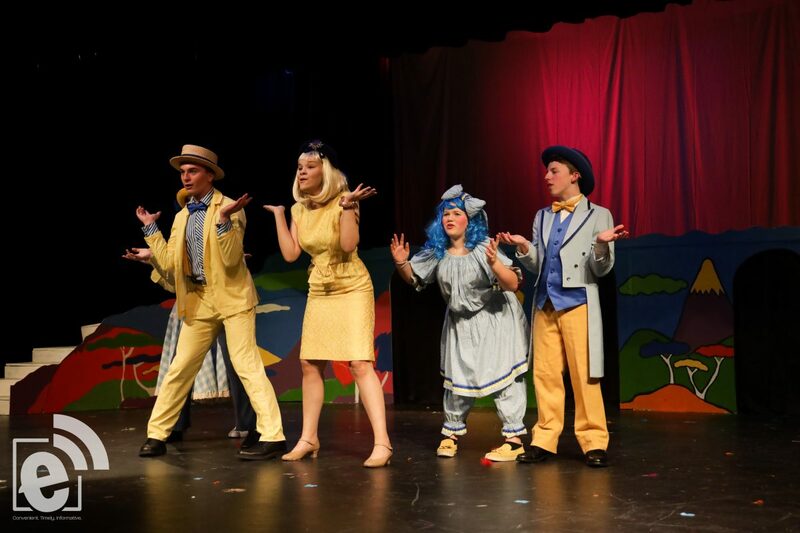 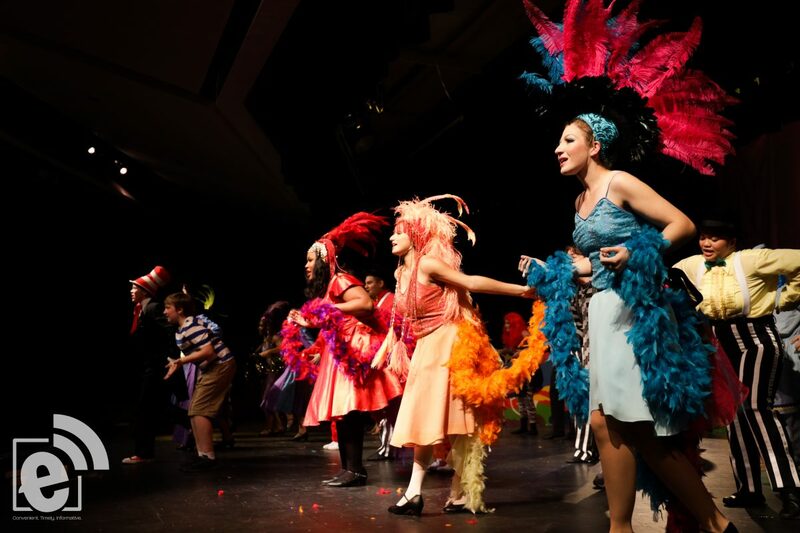 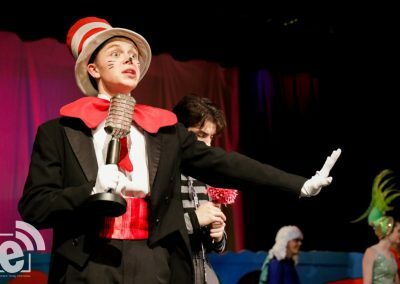 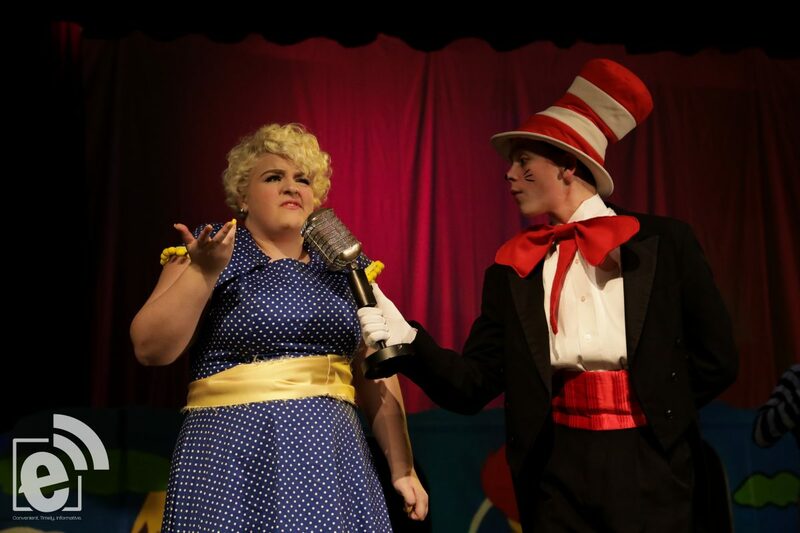 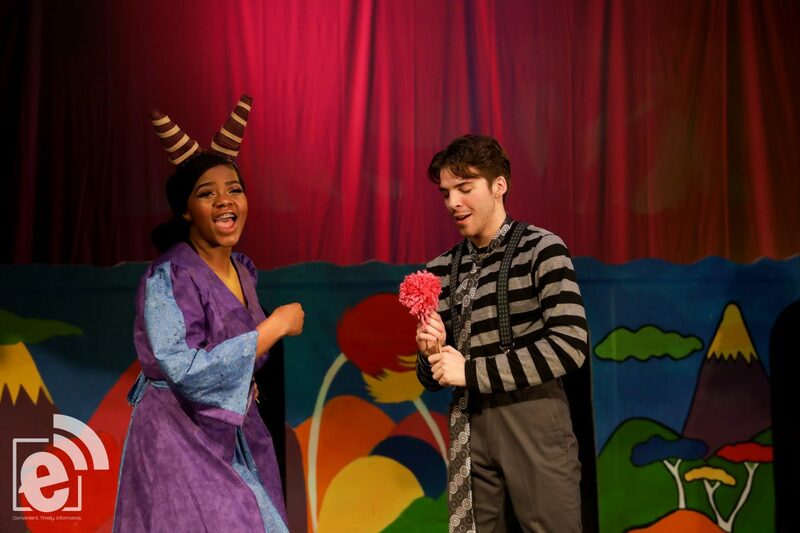 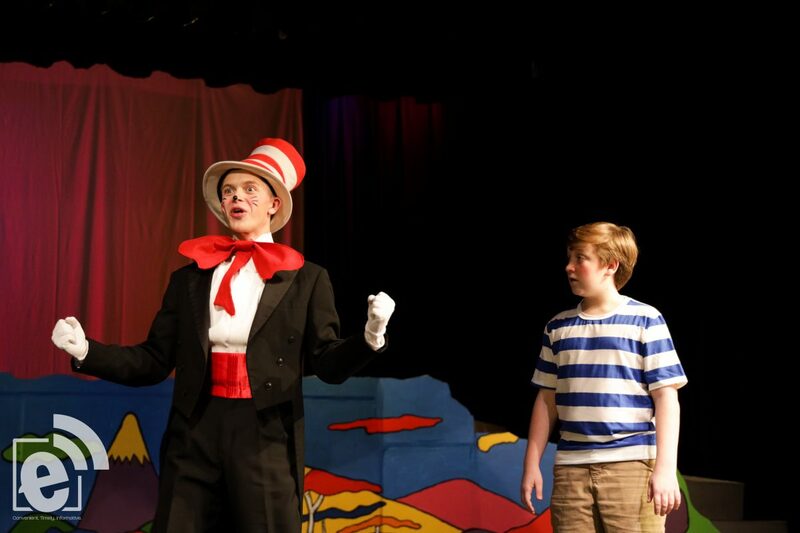 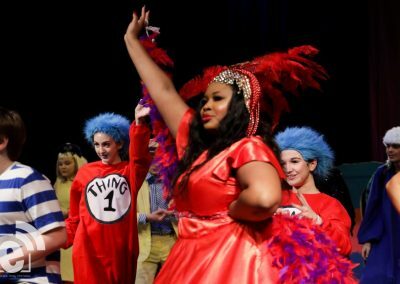 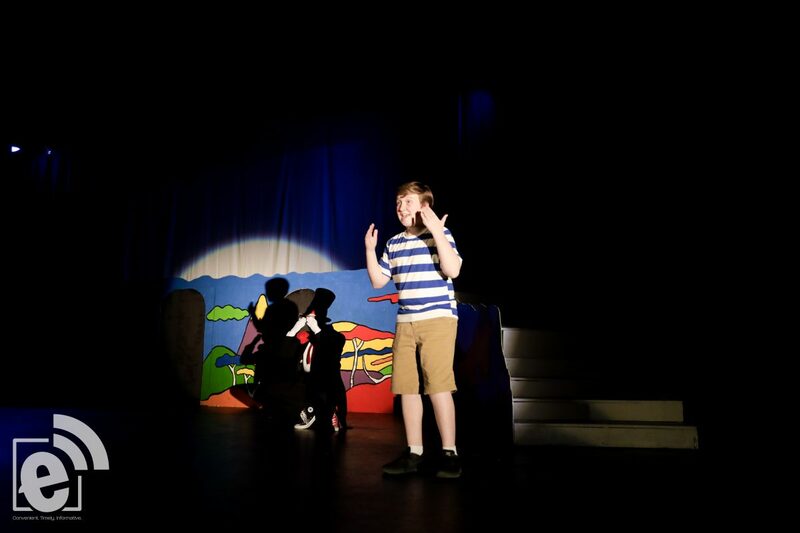 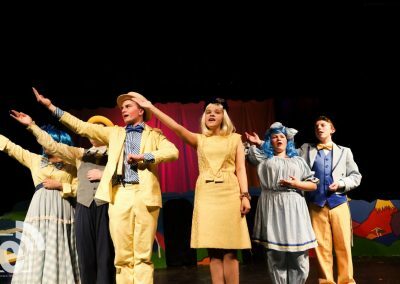 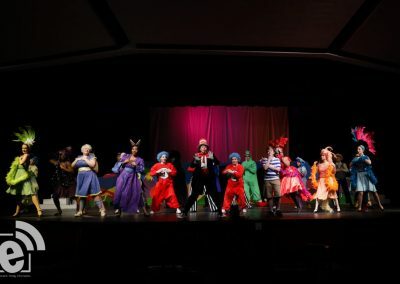 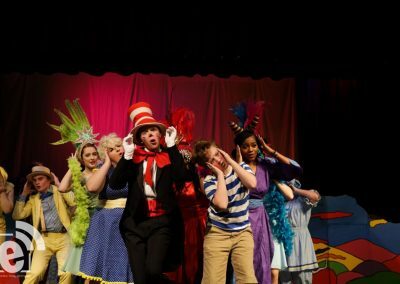 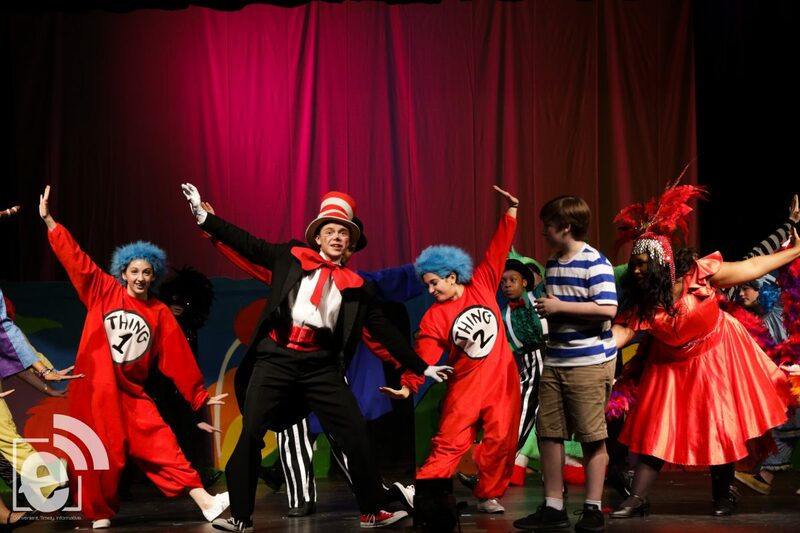 The Paris High School Theater Department is bringing the world of Seuss to life. 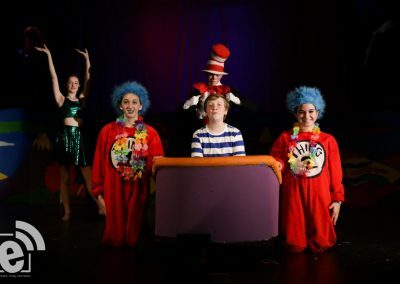 Seussical, presented by the department, is slated to open Friday, Nov 30 at 7:30 p.m.
Tony winners, Lynn Ahrens and Stephen Flaherty (Lucky Stiff, My Favorite Year, Once on This Island, Ragtime), have lovingly brought to life all of our favorite Dr. Seuss characters, including Horton the Elephant, The Cat in the Hat, Gertrude McFuzz, Lazy Mayzie and a little boy with a big imagination – Jojo. 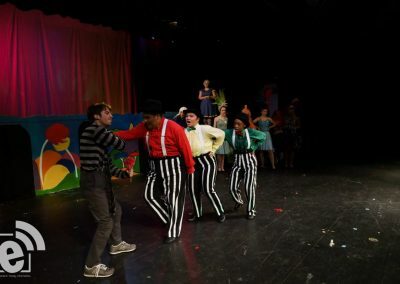 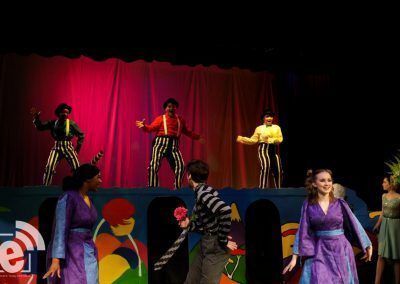 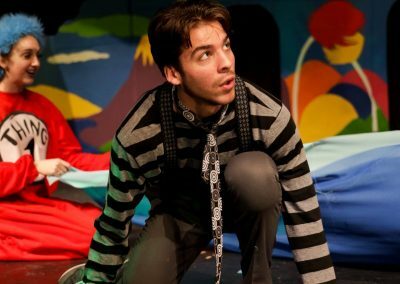 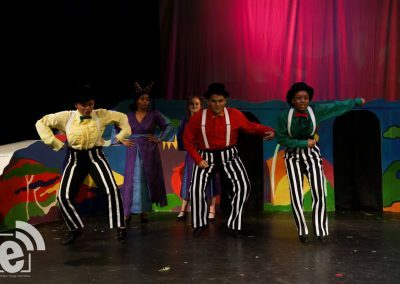 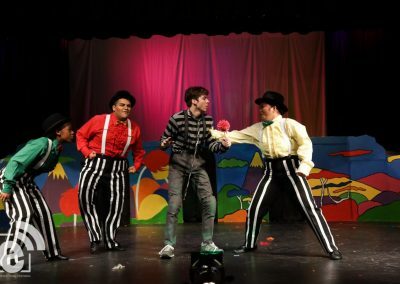 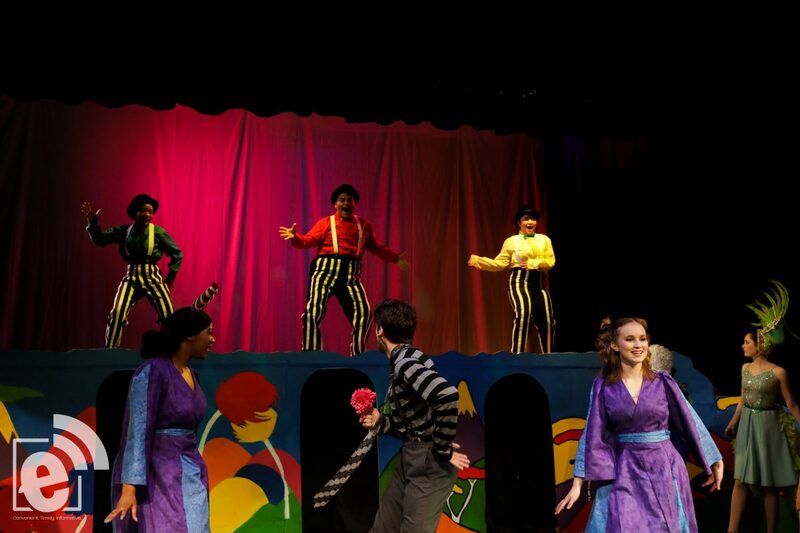 The colorful characters transport us from the Jungle of Nool to the Circus McGurkus to the invisible world of the Whos. 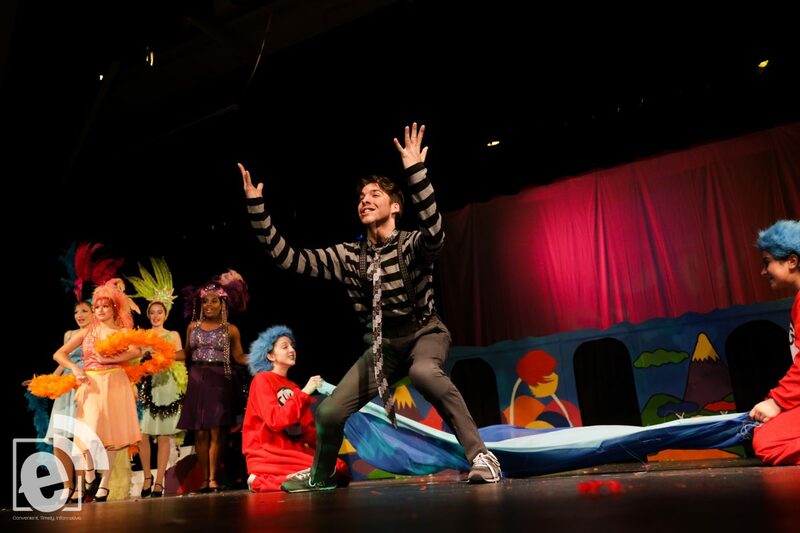 And the Grinch shares his Christmas cheer with everyone. 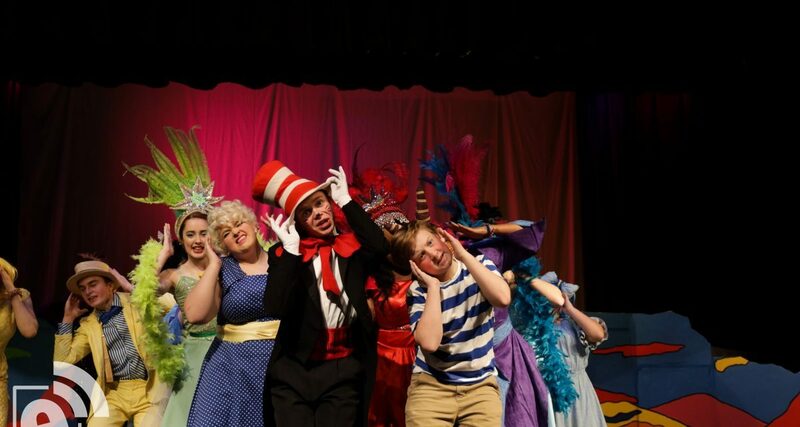 “The show is told almost entirely to music. 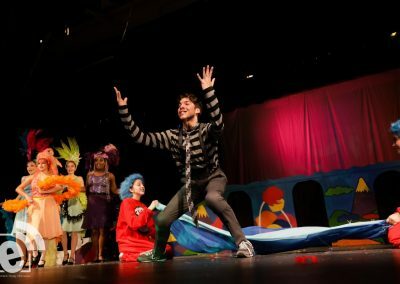 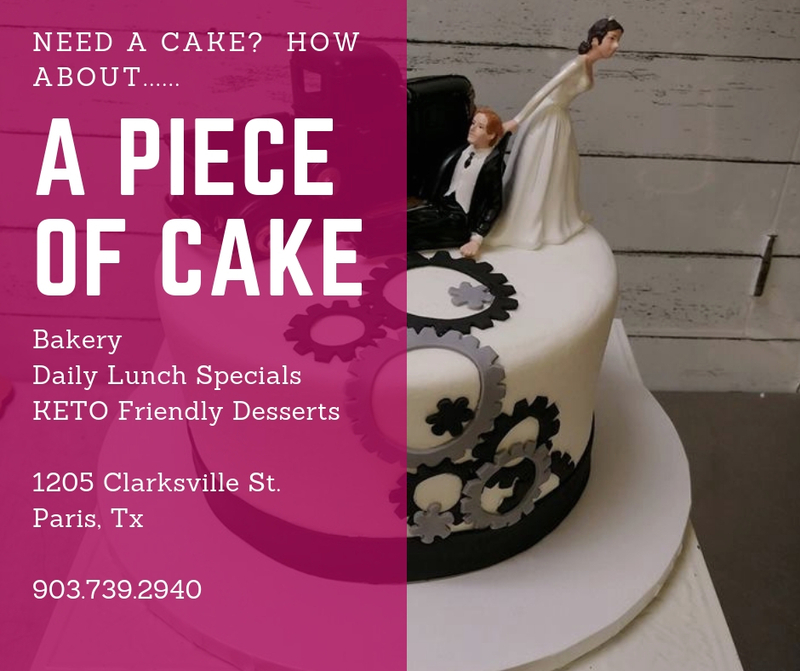 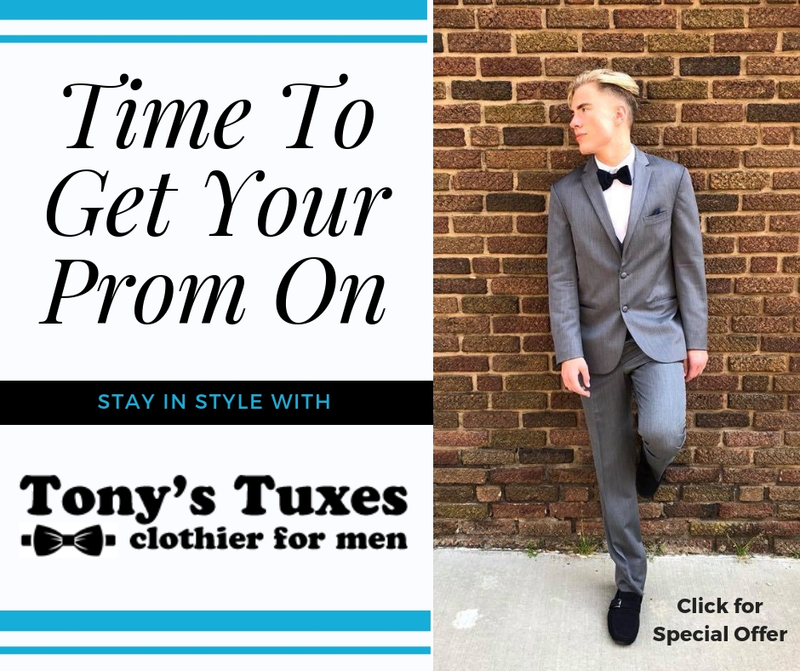 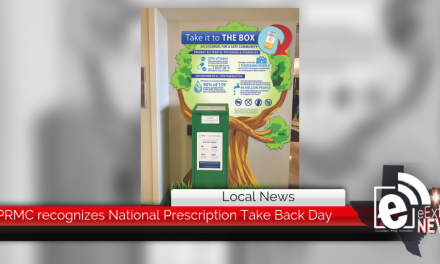 This was initially a challenge for our performers, but the PISD students embraced the concept. 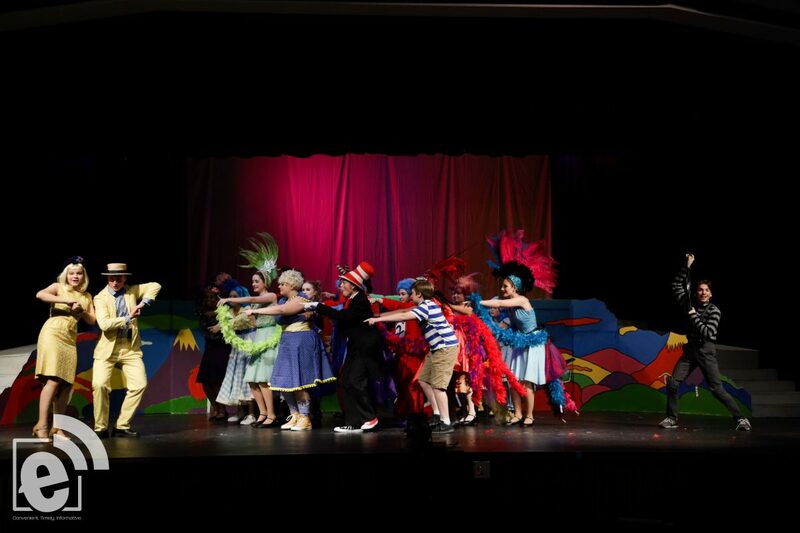 It’s a strong cast telling a beautiful story. 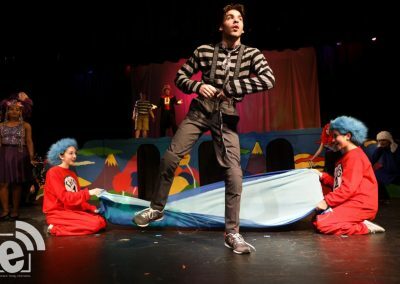 The opening lyrics tell us, ‘This ain’t Mother Goose!’ It’s a show appealing to adults too. 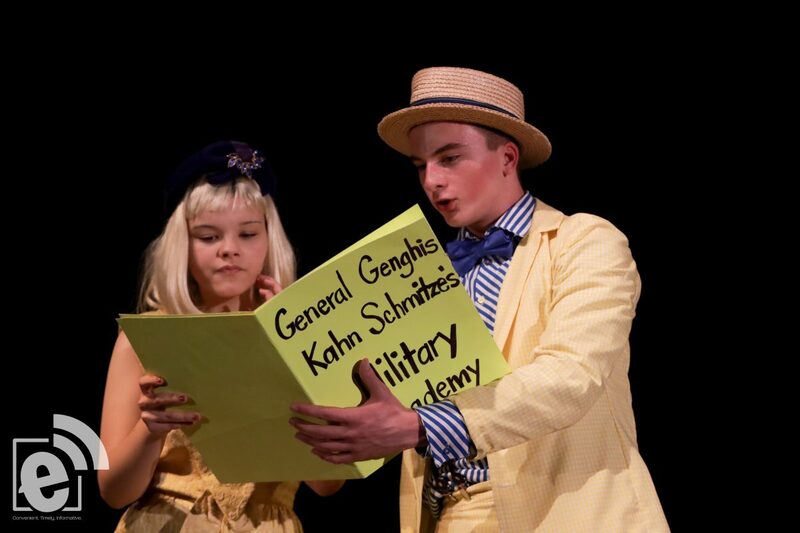 It’s Seuss for all ages.” said Burrows. 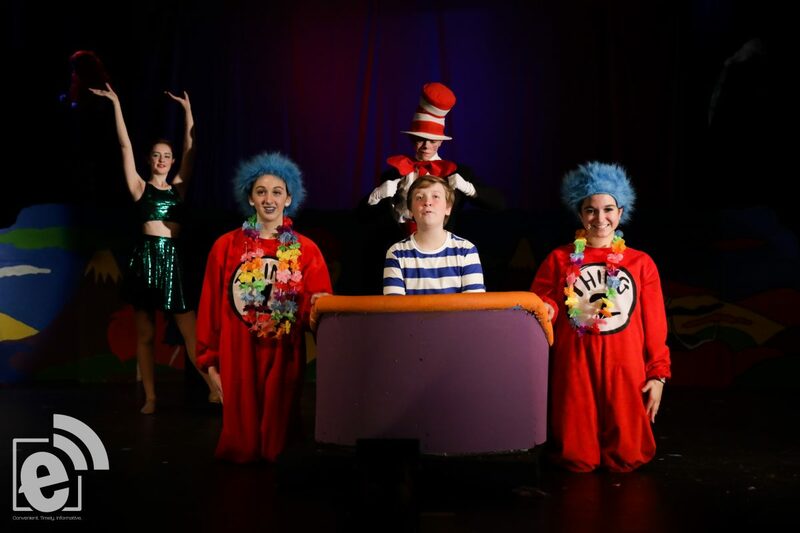 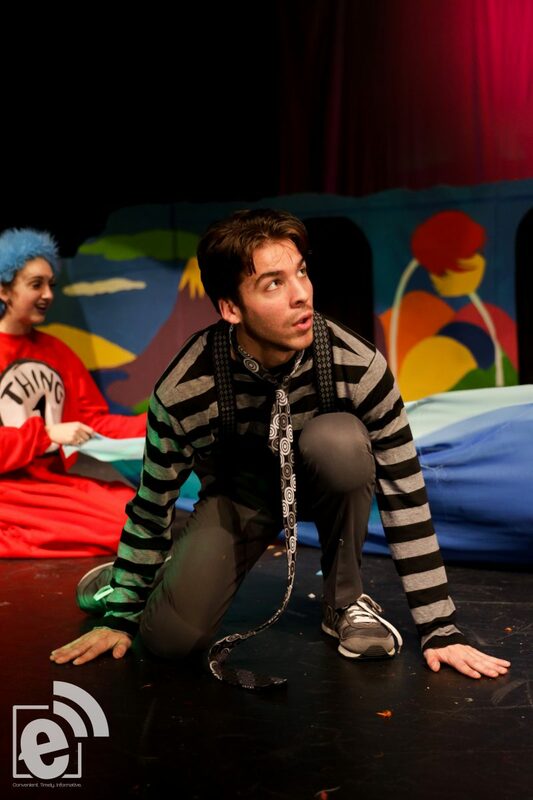 Seussical opens for the public Friday, November 30. 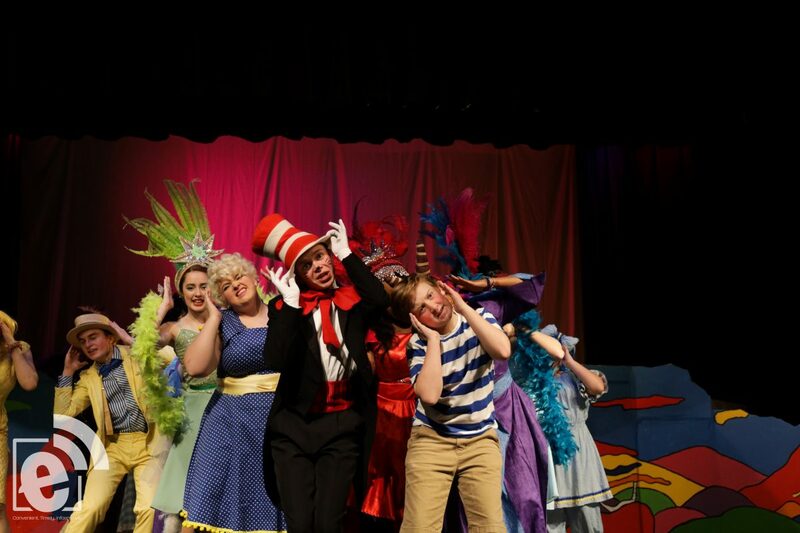 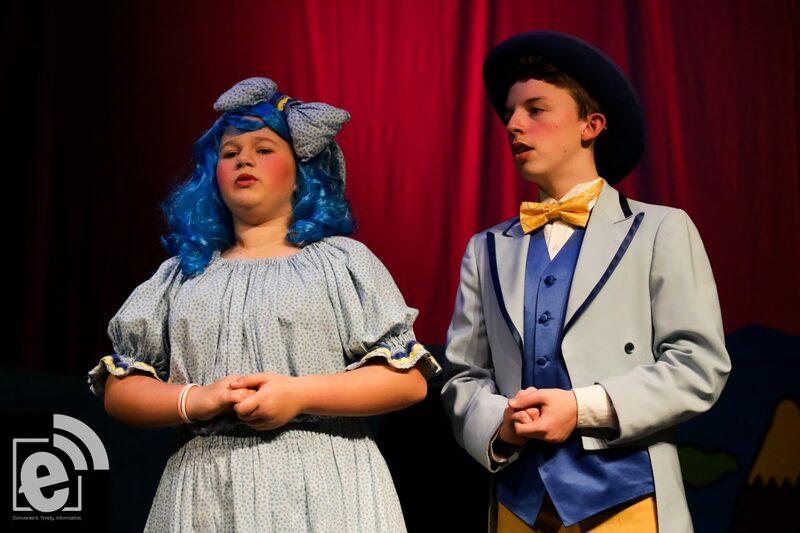 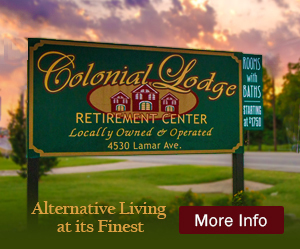 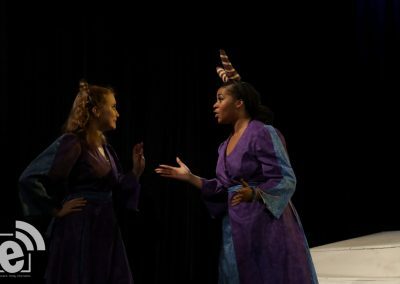 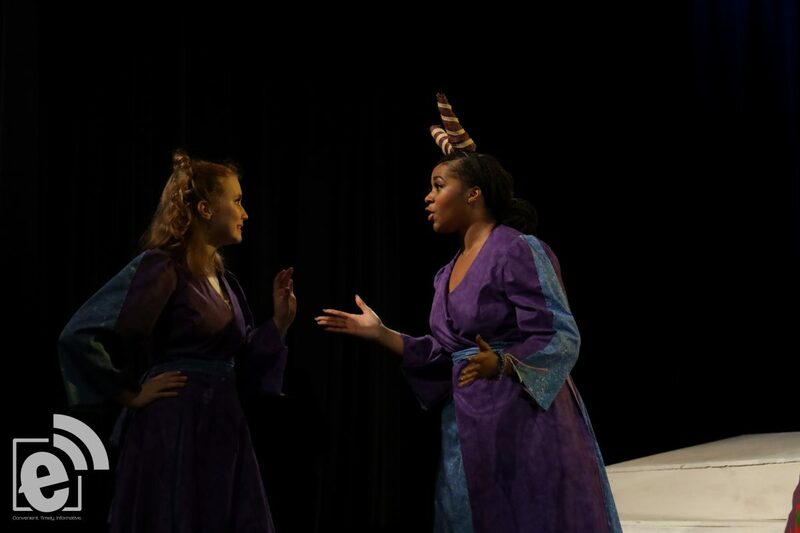 Evening performances begin at 7:30 p.m. Saturday and Sunday performances at 2:30 p.m. Student and children only $3.00. 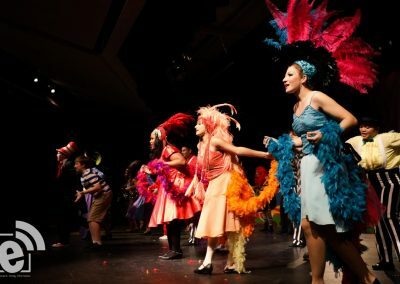 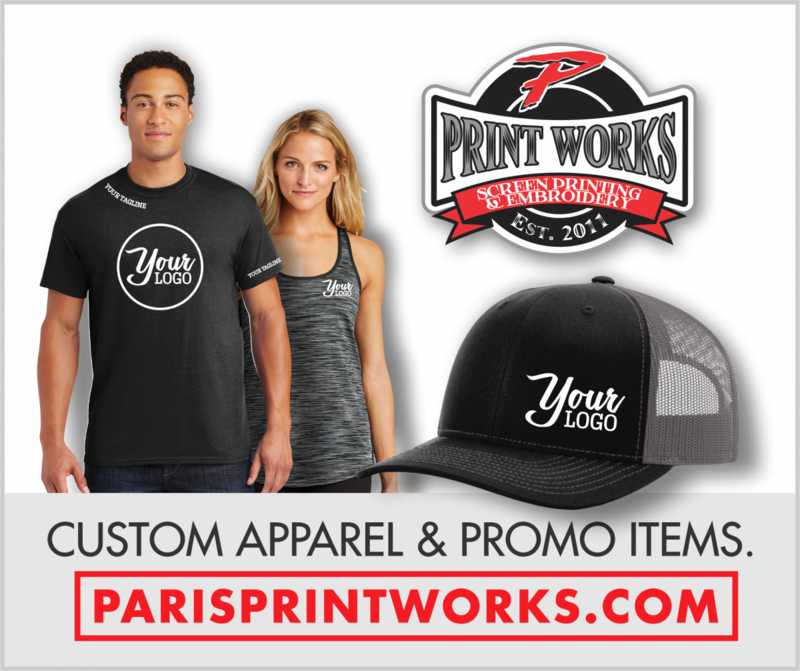 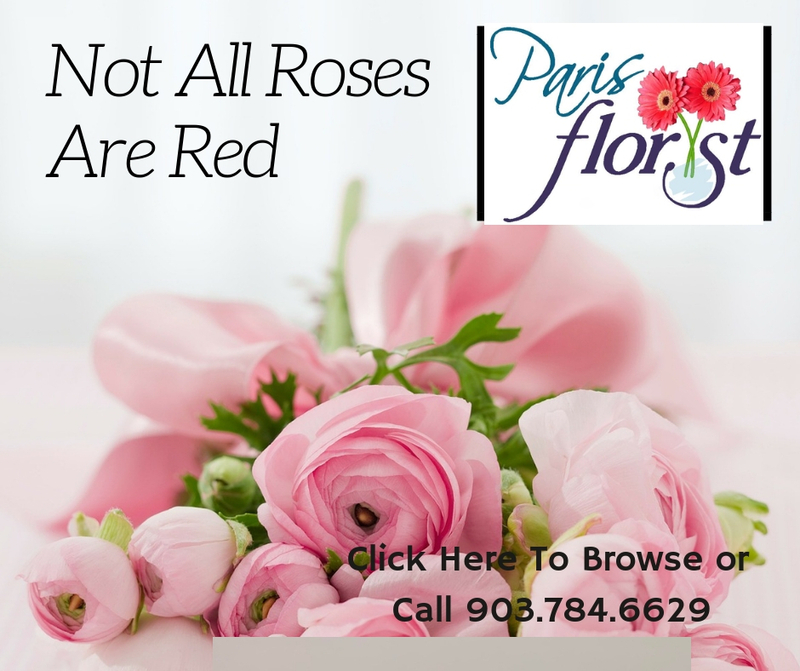 General Admission Adults $10.00. 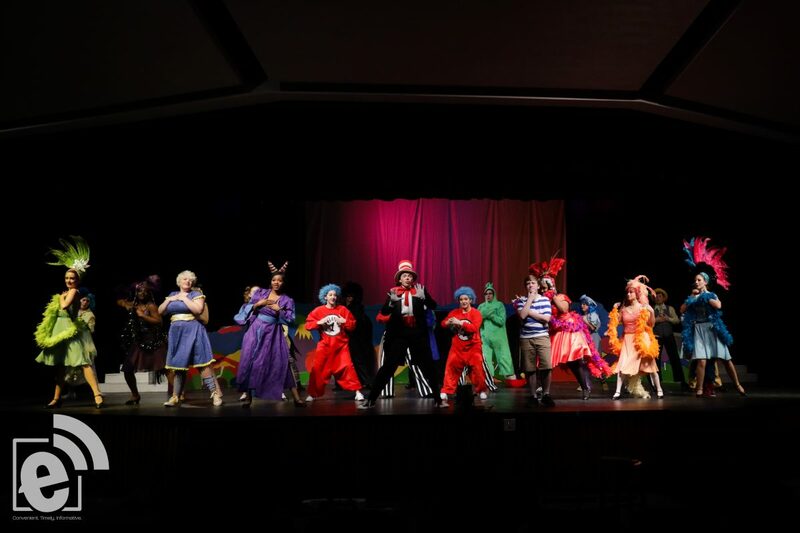 For $20 reserved seats email SeussPHSPISD@gmail.com. 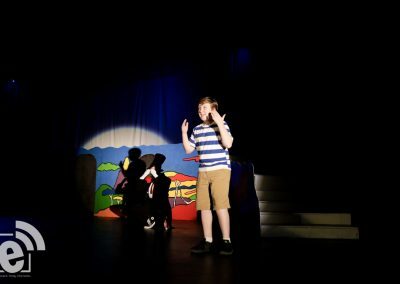 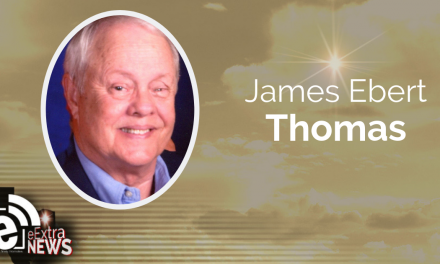 The show will be presented on the PJH Weger Stage. 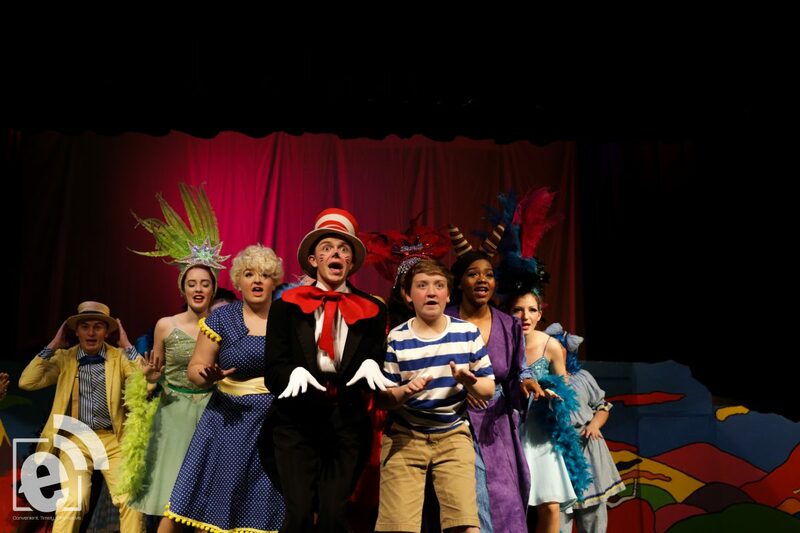 All tickets may be purchased at the door.